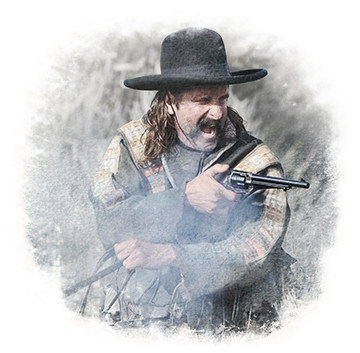 The Uberti 1875 Army Outlaw and 1875 Frontier are faithful reproductions of the big-frame, Army-style revolver Remington introduced in 1875. The 1875 Remington single actions kept the solid frame and overall styling of Remington’s 1858 percussion models. These replicas are chambered in .45 Colt. The infamous Frank James carried a Remington revolver for most of his outlaw career. His favorite caliber was .45 Colt. 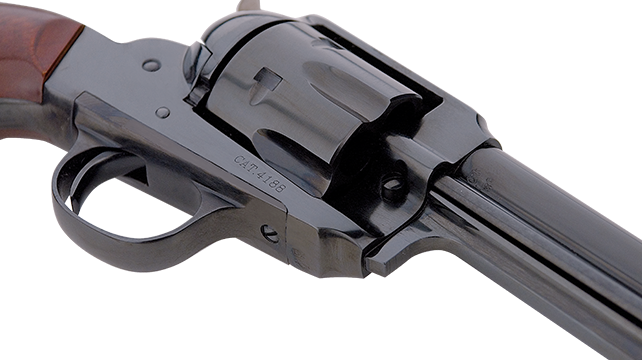 The 1890 Police is chambered in .357 Magnum and .45 Colt. Like the original Police, it comes complete with a lanyard ring. 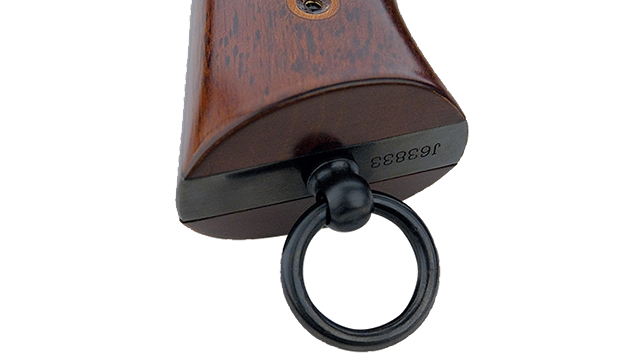 The blade is known as a “sail.” Its styling embodies the original Remington 1858 percussion revolver. 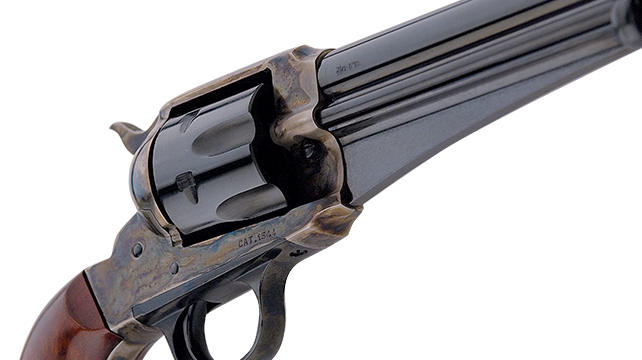 The 1890 Police is styled similar to the Colt, but does not have a bottom blade.